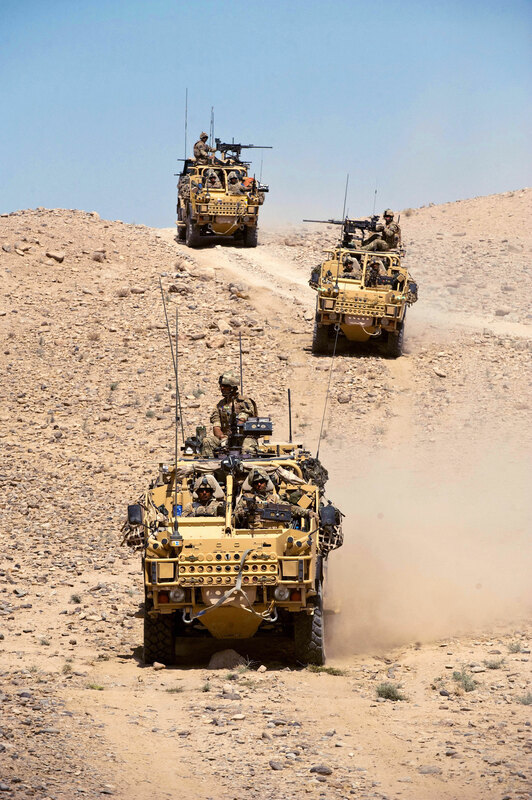 Royal Marines with B Company, 40 Commando transverse the Helmand desert in Jackal 2 armoured vehicles. Officially categorized as Protected Patrol Vehicle class of vehicle, the Jackal 2 is a 4x4 armoured vehicle that can be employed in the patrol, fire support and recce role. The vehicle features blast shields to protect the occupants from mines and IEDs. A GPMG is typically mounted at the vehicle commander's station while the main gunner's station can accomodate a GPMG, Heavy Machine Gun or Grenade Machine Gun.